Enjoy celebrity look with our new collection of stylish party jewelry set. 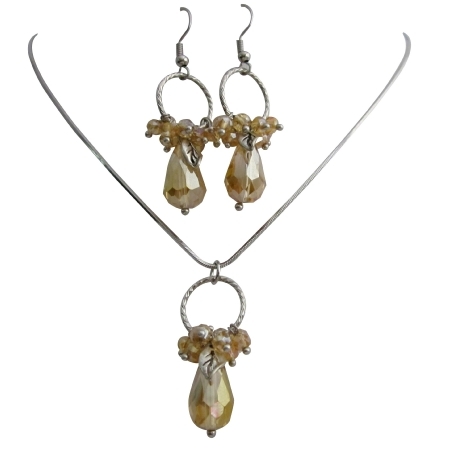 Cute circle pendant & earrings with beads cluster jewelry Sparkling Golden Shadow glass beads teardrop dangling boasts the shine silver plated chain. The main beauty is the lot of craft work embossed & dress up with many accessories this fashion jewelry is a must have for fashion savvy this beautiful set perfect for bridesmaid gifts prom party bridesmaids & for other special occasions.